It’s easy to be cynical about badge-engineered cars - where one company adopts a model from a rival, and plants its badge on the car, and then calls it its own. There’s been literally thousands of examples over the last 40 years, and most are greeted cynically by media, consumers, and corporate suits. However, there’s one that I think made a lot of sense, both at the time, and in hindsight – although not too many people would probably agree with me. 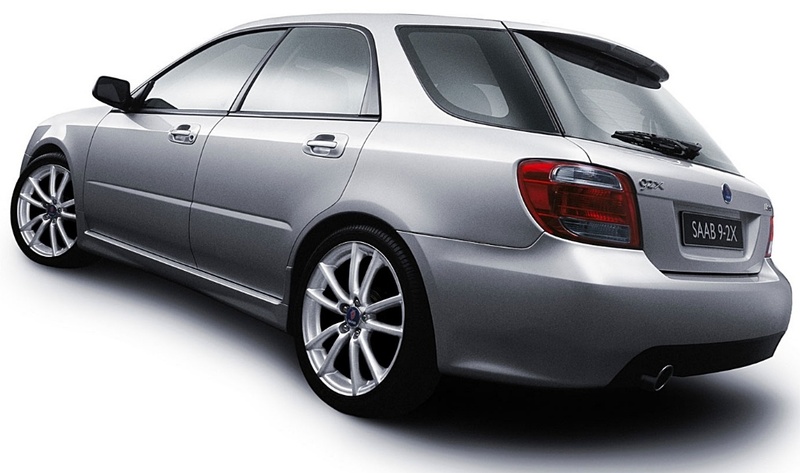 That was the transformation of the humble Subaru Impreza, into the compact SAAB 9-2X. The mere fact that it happened was a surprise, but also it began as a very pragmatic solution to a difficult problem. The ‘problem’ was entirely created by General Motors, which in 1989 had acquired a 50% share in SAAB, then converted that into full ownership in 2000. From Day One SAAB’s somewhat ‘maverick’ management style, and its oddball engineering and design was at odds with the GM hierarchical management approach. The stiff suits in Detroit could never understand the Swedes, and the feelings were mutual. It was the culture clash of the century I think, and it started off going downhill, and never looked up. GM made poor product decisions; it misread the market; it misunderstood SAAB’s diehard enthusiast owners, and generally it was a giant corporate cockup of mammoth proportions. 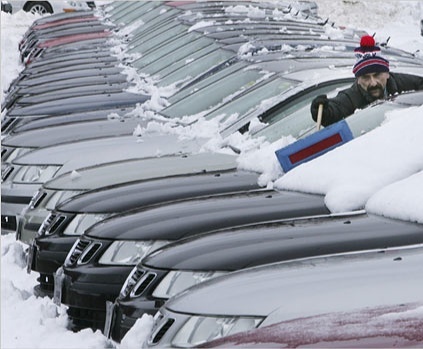 Poor old SAAB never stood a chance. Because GM would never invest decent resources into product planning, SAAB was lumbered with a plethora of badly-designed GM models, adorned with SAAB badges. The quality was poor, the sales performance even more dismal. However, in 2004, whilst my friend Bob Lutz was President of GM Europe, one of his many brainwaves was to create a new compact car for SAAB, utilizing GM’s 25% share in Subaru manufacturer, Fuji Heavy Industries. 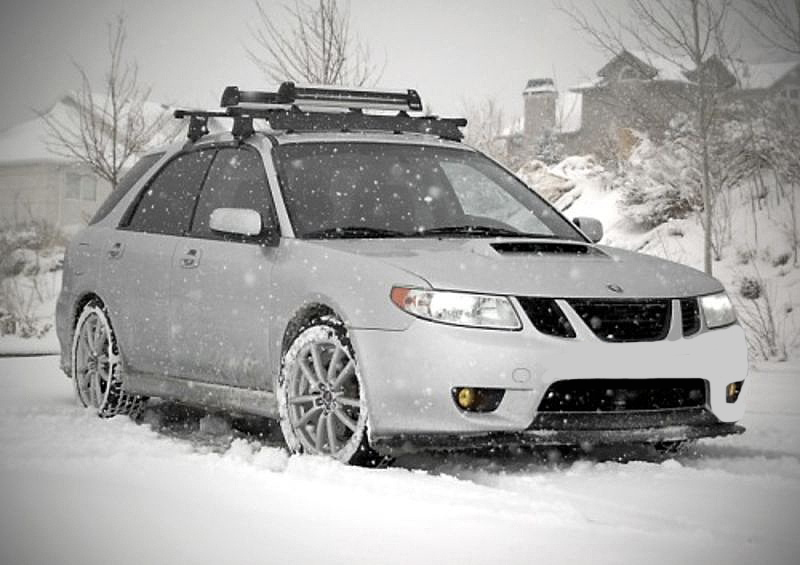 He thought that the offbeat appearance of the Subaru Impreza wagon would be great as a new SAAB, due to its unique, curving C-pillar, and also because of its all-wheel-drive capability that should find willing buyers in the snowbound parts of USA and Canada. The car was launched in 2005, and remained in production through 2006. Eventually (after a lot of subsidies and marketing discounts) just over 10,300 cars were sold, after that the 9-2X disappeared. GM went into bankruptcy in 2009, and in 2010 GM sold SAAB to Dutch niche sportscar company Spyker, which ran out of cash and sold it on in 2014. In the intervening years SAAB has ceased to exist as a consumer car company. 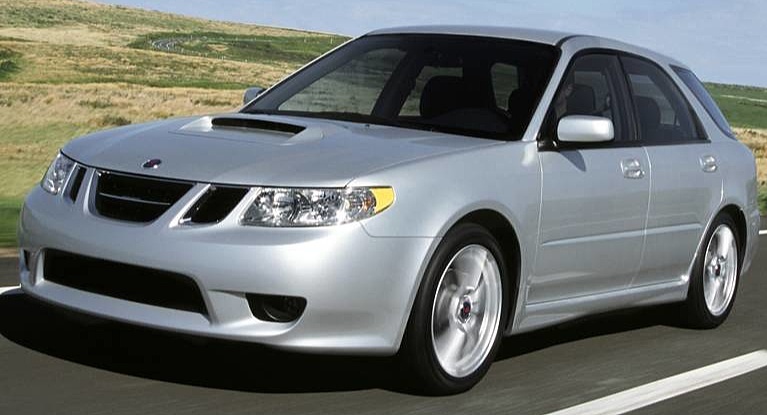 However, my own connection with the SAAB 9-2X convinced me that it could have been a good product initiative for both SAAB and GM, if both companies had ever been able to find some common ground to develop and market the concept with a bit more energy and initiative than they were able to muster in 2005. 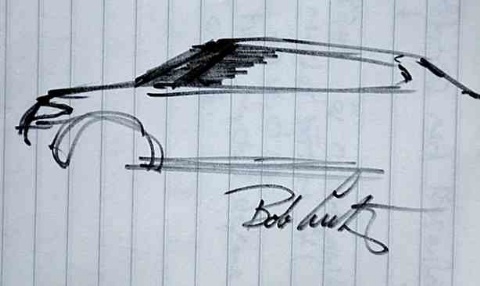 During lunch in Bob Lutz’s office one day, he and I discussed the whole idea and I completely agreed with him that it did indeed have merit. The model was smaller than the 9-3 and 9-5, so it filled a gap. It was cheap to re-engineer, and quick to get to market; it was technically-sound, and fun to drive. Subaru had done its usual excellent job of design, mechanical and production engineering, and the styling did boast a certain quirkiness, which could appeal to SAAB buyers. What I didn’t realize was that I had unwittingly driven a SAAB 9-2X (well, sort of) completely ignorant of what it was. 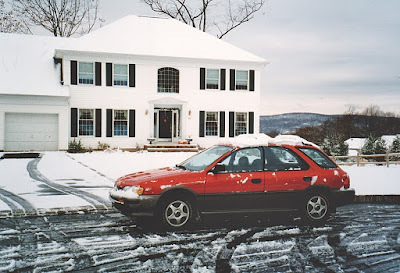 Back in 1995 on a personal visit to see friends in New Jersey I needed the use of a car, so I called my old friend Alex Fedorak, who ran Subaru’s PR team, and he provided an Impreza wagon. 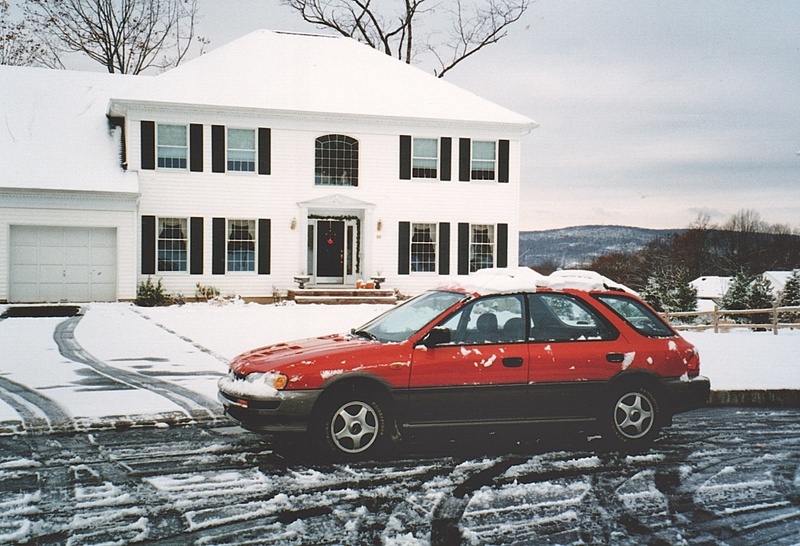 I borrowed the car you see here, and drove it to visit friends in northern New Jersey on a very snowy weekend just after Thanksgiving. 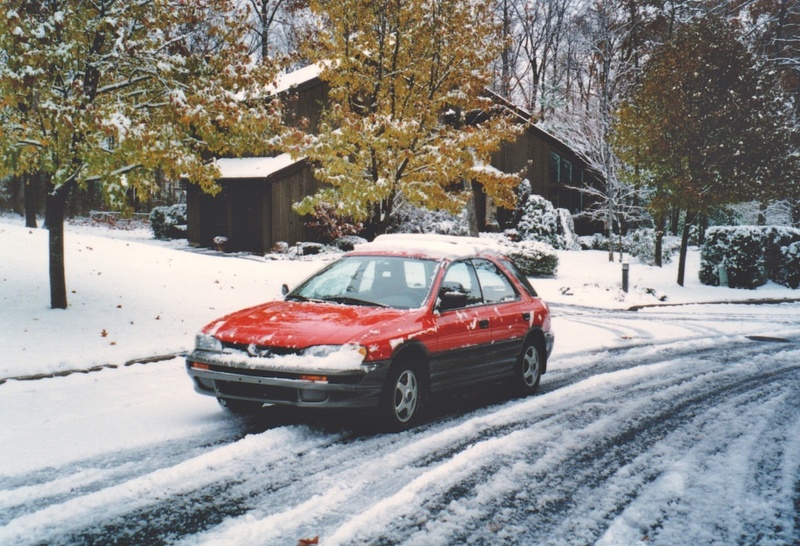 It later transpired that this car was the first ‘development and calibration mule’ supplied to GM in Warren, MI, from the Subaru press fleet later in mid 2004. GM made very few substantial changes to the Impreza. The SAAB designers created a new tailgate, rear bumper and grille, but the rest of the car came from the Subaru parts bin. SAAB did produce some lightweight aluminium components for the rear suspension; its own seats and active head restraints; revised instrument panel, and the WRX STi steering system, which made the 9-2X very responsive. Call me crazy; and I’m sure the wrath of SAAB enthusiasts worldwide will be visited upon my head; but I thought it was a neat fit – both in product and image terms. Nothing wrong with Subaru’s engineering integrity, and as a stop gap measure to give GM-SAAB some breathing space to refresh the SAAB product portfolio, the 9-2X looked ideal to me. Also giving me some comfort was the opinion of solid gold SAAB rallying legend, Erik Carlsson. 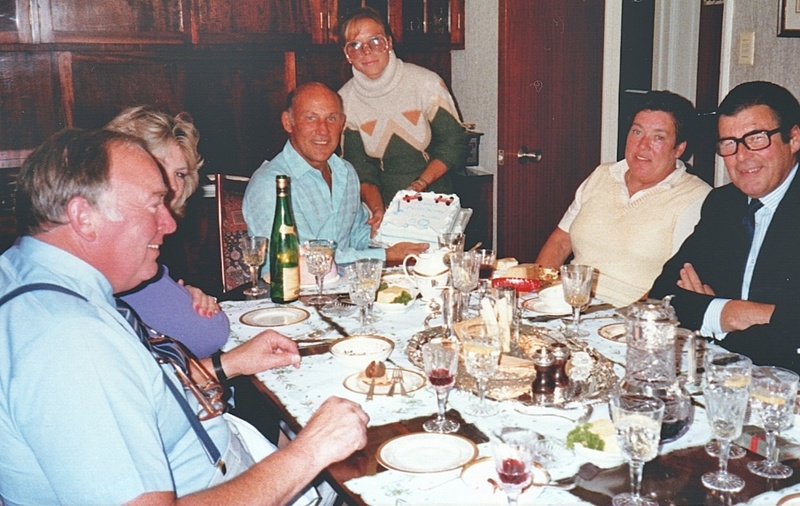 Because of my close friendship with Stirling Moss, I often dined with the Mosses in Mayfair - one time with Stirling’s sister Pat (a legendary and formidable female rally competitor), and her husband Erik. Another bomb in GM’s turgid and muddle-headed management history. WHO'S CALLING THE SHOTS ON DRIVER-LESS CARS? AUTO RACING IN NEW YORK? NEVER! WHO FOUND THE 'UGLY PILLS'?